In 2006 invaluable reissue label RetroAfric dropped Endurance, a collection of killer 70s grooves from Les Mangalepa, a band of Congolese expats making music in Kenya. Their irresistible blend of Congolese rumba and Kenyan benga combined bubbly, crystalline guitars with stuttering yet fluid rhythms that inflected their almost martial intensity with clave patterns adapted from Cuban music. A fleet horn section occasionally delivered extended solos, particularly on trombone—courtesy of Evany Kabila Kabanze, who was also one of the group's soulful singers. Looking back at the liner notes of that 2006 album, I was reminded that its title referred to the band's unbroken run—though they'd had a lot of personnel changes and it was sometimes unclear whether they'd manage to keep going, they'd stuck together continuously since 1976. 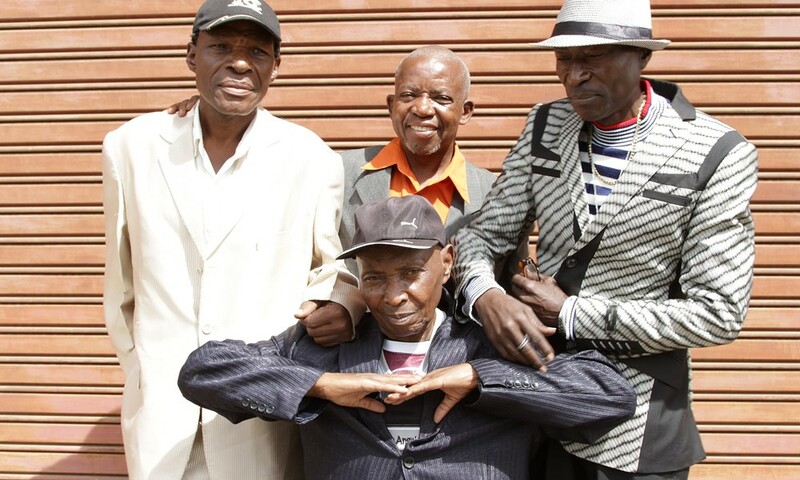 That was when a group of musicians who'd moved to Nairobi a few years earlier as members of Baba Gaston's L'Orchestre Baba Nationale decided to strike out on their own. I'd forgotten that the band still existed when I read about a new album called Last Band Standing (Strut) by Orchestre les Mangelepa (I can find no accounting of why the spelling of their name has changed), so I initially assumed that group had been resurrected by a European producer to cash in on nostalgia for old-school African music. While it's true that most of the album's eight tunes are vintage—five are new recordings of tracks from Endurance—and that the sessions happened at the behest of a British producer, Guy Morley, nobody had to resurrect Orchestre les Mangelepa. Though only three of the ten members listed on Last Band Standing have been aboard since the beginning, they've never disbanded and in fact still play a weekly residency. In 2016 Orchestre les Mangelepa toured Europe for the first time, and their gig this past October at the WOMEX conference—an annual trade fair for the world-music market—suggests that they'll be expanding their touring to the U.S. in 2018. The band sound great on the new album, though the performances lack some of the heat you can hear on the RetroAfric compilation. The three singers—Kabanze, Vivi Kalenga Nzaaza, and Macky Luthulu Kaniki—are all founding members, and they impart an avuncular charm and authority. The instrumentalists craft infectiously percolating grooves, simmering with measured grace and complemented by the occasional solo, and drummer Koyo Ngunda preserves the elegant, chattering feel that's distinguished the band's dance rhythms for four decades. As you can hear below on "Suzanna," that chatter comes mostly from a crisp snare drum—which is also clear as bell on the vintage track "Embakasi," embedded after it. The performances can't help but sound a little old-fashioned—lots of current music from this part of Africa uses Auto-Tuned vocals, keyboards, and electronic rhythms—but they're also undeniably vital and ebullient. Orchestre les Mangelepa are ready for success around the globe—and they definitely deserve it.